Home / Modern Pest Blog / Modern Pest Services Makes Top 100 List of Pest Control Companies in the U.S.
Modern Pest Services Makes Top 100 List of Pest Control Companies in the U.S.
Modern Pest Services ranked an impressive 44th in this year’s top 100 pest control companies in North America. The PCT list is based on revenue from 2011 and this is Modern’s 11th year on the list. 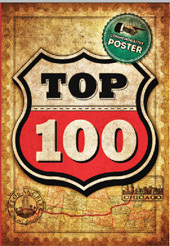 Pest Control Technology, a pest control news and resource center, compiled the top 100 list after reviewing the revenues of 20,000 pest control companies in North America. There are 30 states and three Canadian provinces represented in this year’s list with Florida and California having the highest number of firms. When Pest Control Technology created the first list in 2002, Modern was ranked 80th and the company continues to rank higher each year. 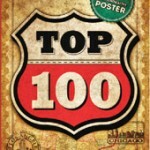 Collectively, the companies in the top 100 list earned almost $5 billion in 2011. With service centers in Maine, New Hampshire and Massachusetts, Modern Pest Services is New England’s largest family owned and operated pest management firm. Modern employs 150 people in its six locations.